Birds are very sensitive when it comes to things they touch, breathe, and feel. Breathing in certain fumes that don’t often affect us or other pets like cats and dogs can seriously harm birds. Given that many birds are small that we keep as pets, it’s especially dangerous for them to breathe in cooking fumes, chemical fumes from cleaning, and other odors. They also can become ill from touching items that aren’t safe for them like some vegetables, plants, and insecticides. 1: Always keep your bird out of the kitchen – changes in the temperature of a room affect your bird quickly and fumes from preheating cookware can poison your bird. 2: Keep your house well-ventilated – non-stick sprays, spray starch, hairspray, and smoke are harmful to your bird’s respiratory system. 3: Keep toxic items away from your bird – cleaners, pesticides, detergents, nail polish, paint, drugs, and other medications can hurt and burn your bird’s skin. If you use these items around the house, do not let your bird perch on a freshly cleaned area and make sure your bird never ingests anything that is not for them. 4: Keep your bird away from food and beverages – some are highly toxic such as onions, garlic, tea, coffee, salt, alcohol, chocolate, mushrooms, and butter. 5: Remove plants that toxic – some of the common household plants we have are harmful to birds. Spider plants, orchids, and bamboo plants are all safe choices. 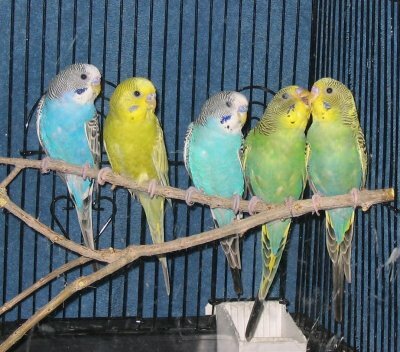 6: Lead-free please – make sure their cage is painted with lead-free paint and that all the items in your house that your bird may perch on are also lead-free. Water from a lead pipe can hurt your bird as well. 7: Avoid toxic treats – try giving your bird some healthy treats like fruits. Some birds also enjoy chewing on pasta with peanut butter. Again, make sure there’s no salt as this can make your bird ill.